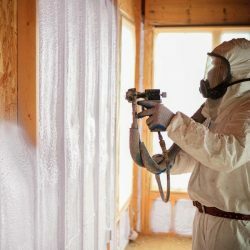 Types of Insulation | Blown-In Insulation Spray Foam Insulation | Rolled Batt Insulation And Radiant Barrier by Barrier Insulation, Inc.
Spray foam insulation combined with a foaming agent can be applied using small spray containers or in larger quantities as a pressure-sprayed product. Both types expand and harden as the mixture cures. They also conform to the shape of the cavity, filling and sealing it thoroughly. 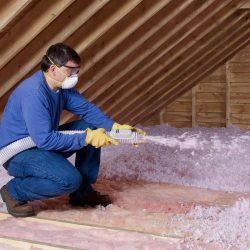 This is the most common and widely available type of insulation which comes in the form of batts or rolls. It consists of flexible fibers, most commonly fiberglass. You also can find batts and rolls made from mineral (rock and slag) wool, plastic fibers, and natural fibers, such as cotton and sheep’s wool. 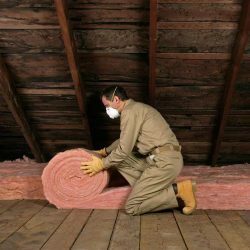 This is a high performance insulation product that saves energy, improves comfort, and reduces heat gain in the summer. 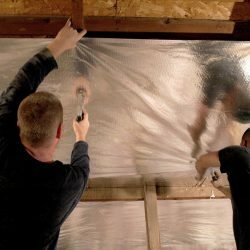 Silver Shield has multiple layers of aluminum which separate when installed to form an enclosed airspace. These layers reflect and reduce the emittance of radiant energy by 97%.